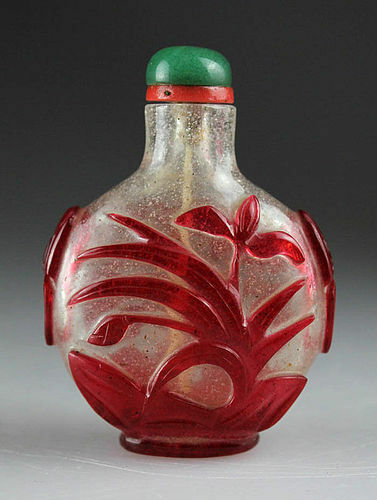 19th Century Chinese Peking Glass Snuff Bottle! Light red overlay cloudy white carved free leaves around the bottle, Qing Dynasty, 19th. century. A finely made bottle with with a green stopper. Condition: Nearly superb, microscopic chip to the rim.